The emerging narrative as CES begins is that consumer-grade smartglasses require a heavy compromise in functionality in order to arrive at a form factor and price point that appeal to mainstream customers. 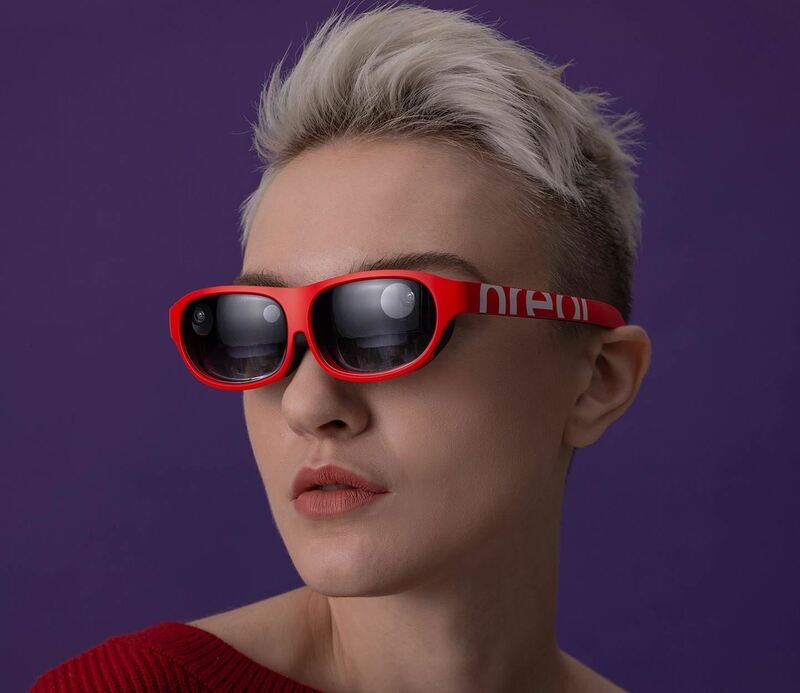 China-based startup Nreal is ready to subvert those expectations with Nreal Light, stylish smartglasses available in a variety of colors that match North Focals and Vuzix Blade in form factor, but with features more similar to those found on high-end AR headsets. The company has also convinced investors that the product has a bright future, with Shunwei Capital, China Growth Capital (CGC), APlus, Siasun and iQIYI participating in a $15 million Series A funding round. "We were greatly excited when we saw the mixed reality glasses developed by Nreal, which strike the right balance between convenient size and user experience, and have strong market potential, which is why we decided to partner with Nreal for future content offerings," said Zhang Hang, senior director at iQIYI, in a statement. "The evolution of mixed reality glasses not only allows audiences to have greater freedom of watching and interaction, but also enables content creators to produce more sensory experiences. [We believe] that with the popularization of mixed reality hardware, original contents and experiences adapted to MR devices will appear as well. We are optimistic to the 'fourth screen' and looking forward to shaping the future entertainment experience with more partners such as Nreal." Announced at CES 2019, Nreal Light weighs in at less than 85 grams (or nearly three ounces), yet the smartglasses offer 52 degrees field of view and 1080p display resolution, along with environmental mapping capabilities via two cameras and sensors in a sleek package. Nreal Light also includes stereo speakers for spatial audio and dual microphones for voice commands in its slim form. "Nreal aims at developing next-generation augmented user experience, by blending the virtual content with the real world through mixed reality glasses. Not only can we provide a truly immersive experience, but we can also make it accessible by everyone, easily, and in a very comfortable fashion", said Chi Xu, founder and CEO of Nreal. 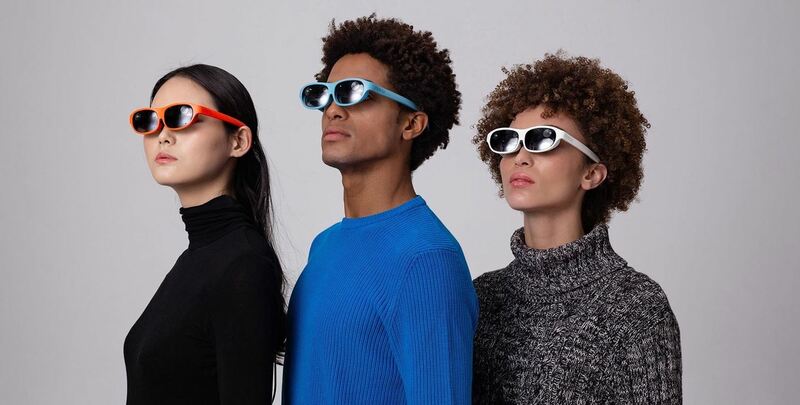 "We're excited to introduce Nreal light, truly radical new mixed reality glasses that are designed to be comfortable and light and offer a fully immersive mixed reality experience. This is just a beginning." While Focals and Blade pack all of their components into their frames, Nreal takes a couple of cues from the headset-meets-external computer dynamic of DreamGlass on the lower end, and Magic Leap on the higher end. First, Nreal offloads computing power to a tethered computer pack running on Qualcomm's Snapdragon 845 chipset. 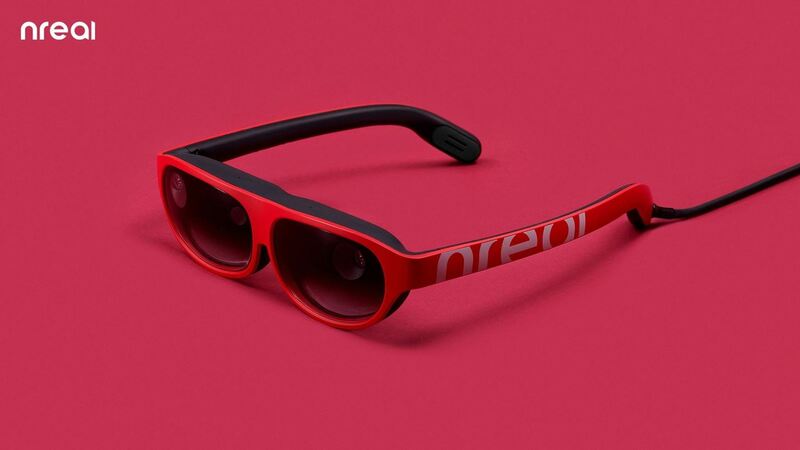 However, while Magic Leap One is permanently tethered to its Lightpack, Nreal Light is also capable of plugging into other devices with USB-C connectivity. "Our advanced heterogeneous compute platform, Snapdragon 845 Mobile VR Platform, coupled with Nreal's sleek form factor yet high-performance glass truly demonstrate that the future of XR is near," said Hugo Swart, head of XR at Qualcomm Technologies, Inc.
"XR is the next mobile computing platform and these types of integrated, light, capable solutions that are designed to seamlessly blend immersive experiences with the real world, drive the ecosystem forward and enable many new enterprise applications to emerge while bringing us closer to consumer adoption." 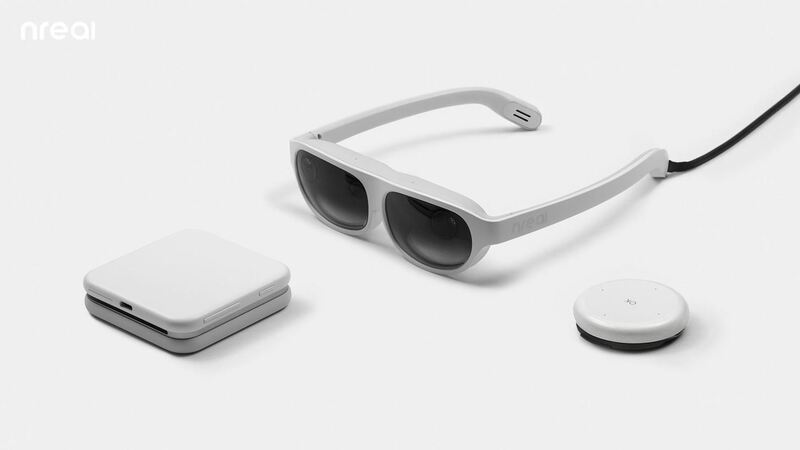 Nreal also pairs its smartglasses with a handheld wireless controller with haptic feedback, though its range of motion is only capable of three degrees of freedom (3DoF), whereas Magic Leap's controller can handle six degrees of freedom. In addition, Nreal Light can accommodate prescription lenses. On the software side, Nreal Light runs on Android, and the company offers an SDK that is compatible with Unity and Unreal. For environmental mapping, the device employs simultaneous localization and mapping (SLAM) algorithms that work in conjunction with its image sensors. If stylish smartglasses with advanced augmented reality capabilities at a consumer-friendly price point sound too good to be true...well, that might just be the case. We had the opportunity to test Nreal's smartglasses at AWE 2018, and, in our limited hands-on, we found issues with tracking, latency, and a limited field of view. The smartglasses appeared to be better-suited at traditional mobile entertainment experiences, such as streaming movies or playing 2D games. Since then, it appears that Nreal has tweaked the design and feature set, but it is not immediately clear just how different the Nreal Light is in terms of real world performance. Update: Nreal has finally revealed some demo footage of the Nreal Light in action and it looks pretty impressive. There are still a couple of missing pieces of the puzzle for Nreal Light, namely price and availability, but, if it can deliver on affordability and better performance, then we may have a contender on our hands.